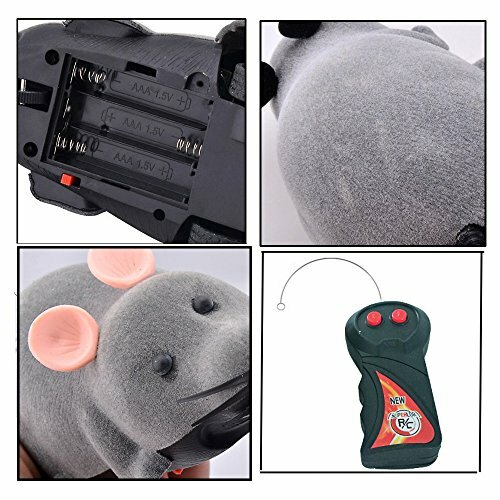 【SUPERIOR QUALITY】The Wheel of our remote control mouse toy was made of rubber,durable,smoothly go forward and backward. 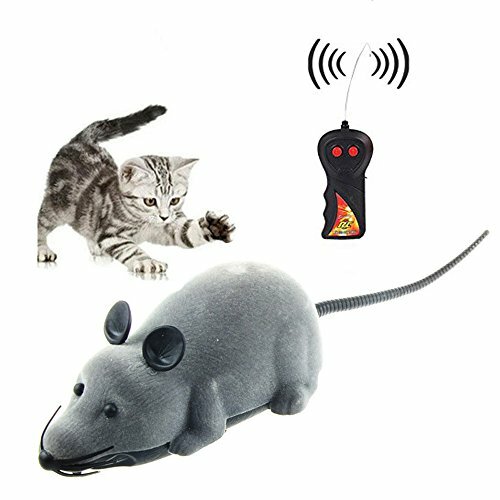 【FLEXIBLE DESIGN】 With remote control for freely running control,easy and funny to use,the maximum remote control distance is 10M. 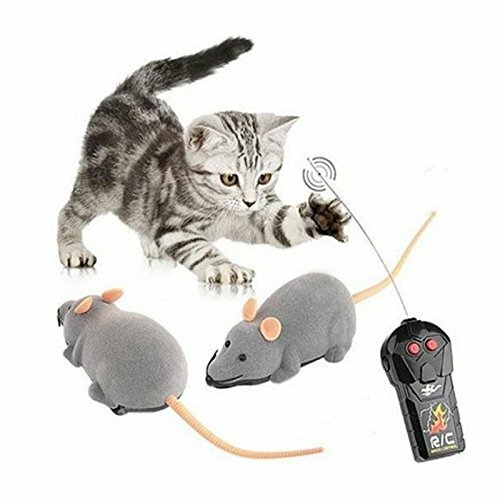 【HIGH SIMULATION】The remote control mouse was made of plastic with flocking which like the realistic mouse,perfect prank prop for others. – Size: Approx. 8.67 * 2.8 * 2.4 inch(L*W*H). – Mouse Battery: 1.5V 2*AAA battery (Not included). 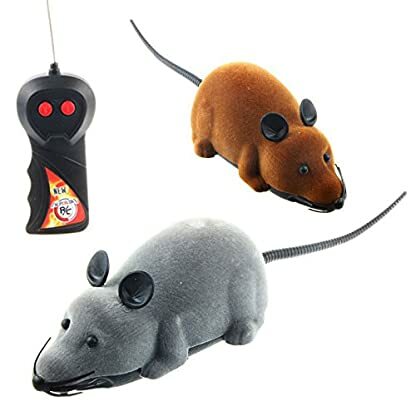 – R/C Battery: 1.5V 2*AA battery (Not included). 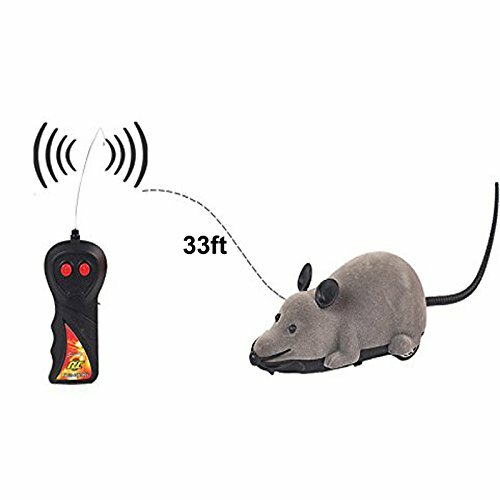 – Remote Control Distance max 10m. 【 PERFECT TOY CHOICE】The best toy to interacte between owner and pets,can also be used as children’s electronic toys. 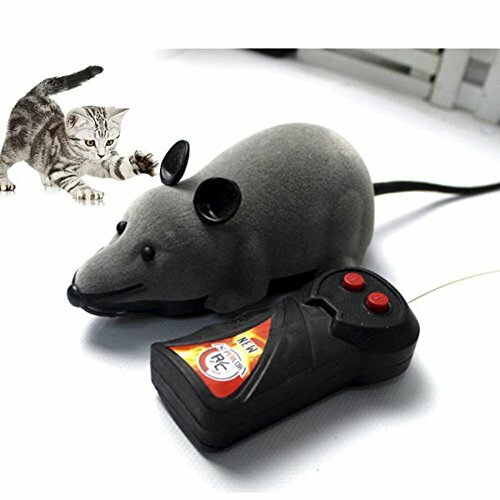 【WARRANTY】If you aren’t satisfied with our remote control mouse toy, please contact with us directly,and we also offer a 3-year warranty and 30 days money back guarantee!